Philips 4K Blu-ray player now available in the US | What Hi-Fi? 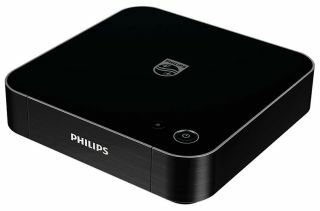 Philips has become only the third manufacturer to release a 4K Ultra HD Blu-ray player, with the BDP7501 appearing on Amazon. Amazon US has begun taking pre-orders for the Philips BDP7501 Ultra HD Blu-ray player. It's priced at $400 and comes with a free copy of Creed on Ultra HD Blu-ray. Teased last month, Philips BDP7501 supports 3840 x 2160 4K resolution as well as the HEVC H.265 codec, can handle the BT.2020 colour gamut and 10-bit colour, and supports HDR picture tech. Audio formats supported include Dolby TrueHD and DTS-HD Master Audio, but there’s no mention of the Dolby Atmos or DTS:X 3D audio formats. You’ll be able to install video apps such as Netflix and YouTube to stream 4K content, and the Philips BDP7501 comes with an HDMI 2.0 output, an HDMI 1.4 port and one USB connection. The Samsung UBD-K8500 is the only player available in the US at the moment, with the Panasonic DMP-UB900 - already on sale in the UK - set to launch later in the year.